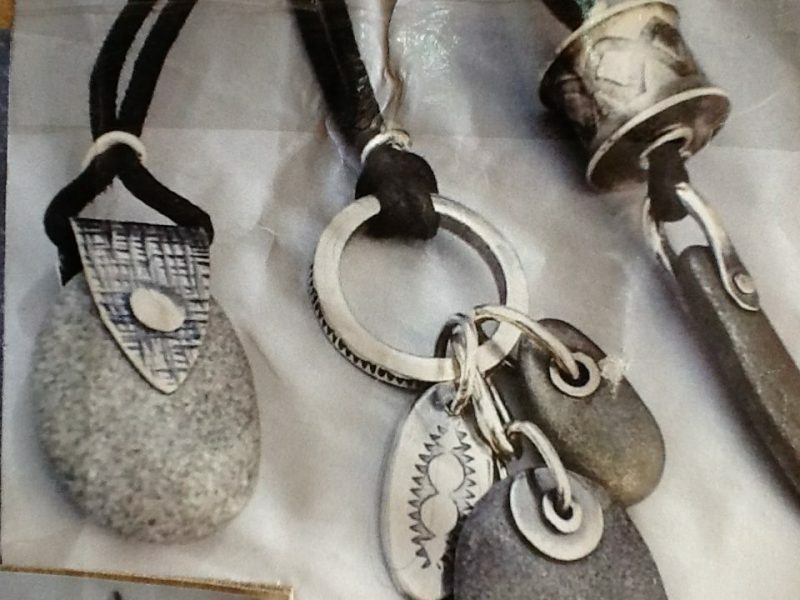 This workshop explores how to drill, rivet and create unique jewellery using silver, copper and brass and beautiful polished beach stones. Learn as drilling with diamond burrs, sawing, polishing and design elements to create a unique piece. Cheryl Jacobs is a jeweller of 32 years, extensive teaching has been a huge part of her career, she teaches at NIC and MISSA. 13+ | $120 | 20 max. Participants take home: one pair of earrings and possibly a pendant, depending on their skill level. Participants need to bring: all metals stones and equipment will be provided, the room will be set up like a jewelry studio.